Company is a smallest organizational unit for which individual financial statements can be drawn up according to the relevant law of the country. It can consist of one or more Company Codes. All company codes within a company must use the same transaction chart of accounting (operating chart of accounts) and the same fiscal year. 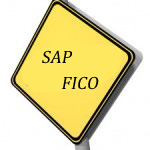 A Company Code in SAP has one local currency in which its transaction figures are recorded. A company can consists of one or more Company Codes. Company Code is the legally independent organization (or a stand alone legal entity) unit for which you have a complete self-contained set of accounts for the purpose of external reporting. The process of external reporting involves recording all relevant transactions and generating all supporting documents required for financial statements i.e. balance sheet, profit and loss statement and so on. Company Code uses the same operating chart of accounts and the same fiscal year variant where as the currency can be different. A company code in SAP can be created either by copying an existing one or by creating a new one. It’s always recommended to create by copying an already an existing Company Code. In this way you copy all the specific parameters related to various sap tables. You can create it by using transaction code OX15. You need to assign compulsorily the country to it as its a mandatory field. The postal code you are entering should be based on the country you have selected. If it is for USA then the postal code should be with in 5 to 10 character. When you save, it will ask for a transport request. You can either create a transport request from the same screen or you can enter an existing transport request and press enter to save it. Please remember when you copy or transfer data from one system to another, you need to either copy the transport request or transport it to the other system. It’s created by using transaction code OX02. while creating you need to enter the currency, language and country compulsorily as some of the fields are relevant. For example: if you enter the language as EN then it will be English but if your requirement is to enter some other language then you need to enter that language here. Enter all the relevant field and save it. while saving it will ask for a transport request. Enter a transport request and press enter to save it. You assign it to a company by which all of them are included into the group accounting. If you have created more than one Company Code in SAP and for consolidation purpose you want it to assign those Company Codes to one company then it can be done through transaction code OX16. Click on the position tab to search your Company Code. If you have more than one Company Code then individually you need to select each one and assign the company created to it. Like in the case, you will be asked for a transport request to save it. Either create one request or enter the earlier one to save the settings. Once Company Codes are created and assigned to company, transactions can be grouped under the company. For this we need to do additional settings at different level. Credit Control area is defined in sales and distribution module. Credit control area is a unit which represents granting and monitoring the credit facility in your organization. Credit control area is not defined at the Company Code level. It’s defined at the client level. If you want a credit control area to work for more than one Company Code in SAP then that can be done by assigning the credit control area to multiple Company Codes. Or you can use to transaction code OB38. One Company Code can only be assigned to one credit control area. Profit Centers are defined under a controlling area and while creating through transaction code KE51 all the Company Codes assigned to a controlling area are assigned to profit center master by default. But SAP has the flexibility of reassigning a particular profit center to a particular Company Code from the profit center master creation transaction under the tab “Company Code”. Or else you can manage all the profit centers under a controlling are by a transaction code KE56. One profit center can also be assigned to more than one Company Code under a controlling are. Company Code outside the controlling area (under which profit center is created) can not be assigned to a profit center of another controlling area. While defining your controlling area you define it either “controlling area same as Company Code or “cross company code cost accounting”. If you define controlling area same as Company Code then, one Company Code can be assigned to one controlling area. You can also assign the company code to controlling area through transaction code OX19. All the company codes in SAP assigned to a controlling area must use the same operating chart of accounts. If a company code in SAP uses different operating chart of account then it can not be assigned to a controlling area. Company codes under a controlling area must use the same fiscal year variant.